So you've got your sword, now what? Well, for starters, how about a spicy little leather number to hang it on? 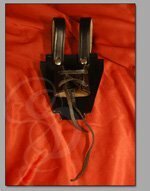 This baldric is probablly the most versatile belt we have. 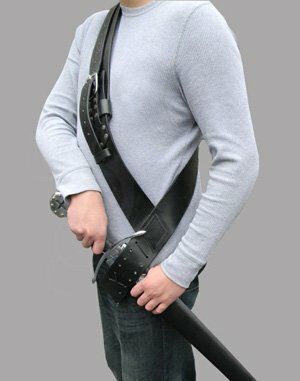 It can be altered to fit just about any sword or rapier. 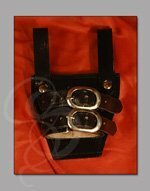 Genuine rugged leather with chromed steel buckles. Spicy and strong. Well made high quality leather, looks and wears great.